Several new projects and various functional flow arrangements were implemented this year in the Sacramento River Basin to promote salmon recovery as part of the Sacramento Valley Salmon Recovery Program. The numerous projects and flow arrangements that have been completed since 2000 to benefit salmon and other species of fish are chronicled in the document: Improving Conditions for Salmon, which can be viewed by clicking below. This includes more than 150 projects and arrangements. 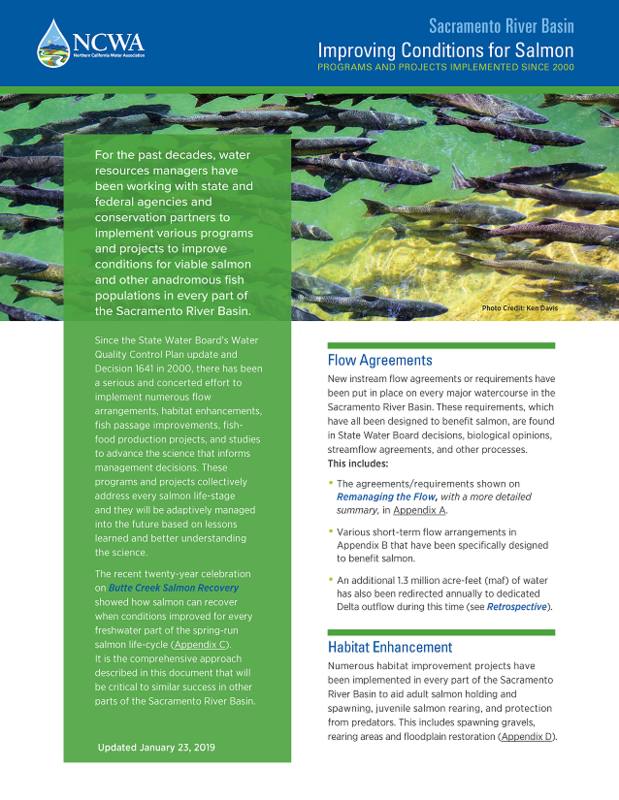 Importantly, this work for salmon recovery shows the desire and ability for local agencies to complete salmon recovery projects in the Sacramento River Basin, with strong partnerships on many of these projects with state and federal agencies, conservation organizations and export water users. Additionally, these projects have helped narrow the work that needs to be done in the future to address all parts of the life cycle for salmon, which will be essential for salmon recovery. 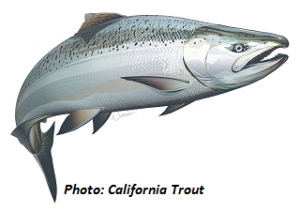 For more information, see the details in the Sacramento Valley Salmon Recovery Program, which also highlights the 17 salmon projects that have been completed in the past several years.